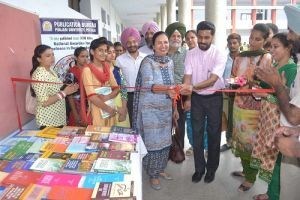 An exhibition of the books published by the Publication Bureau of Punjabi University, Patiala was inaugurated by Dr. Dhanwant Kaur, Prof. Incharge of the Publication Bureau and Dr. Khushvinder Kumar, Principal of the College. The students and members of the staff purchased books of their choice and availed 50% concession on the purchase of books. 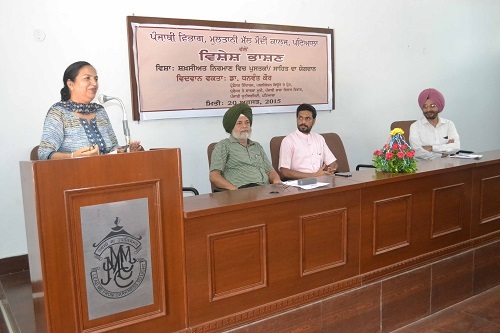 On this occasion, Dr. Dhanwant Kaur delivered a lecture on “Role of Books and Literature in the Personality Development of the Students”. She said that our generation is fortunate to have the treasure of books and the ability to read and understand them. The accumulated knowledge and wisdom of our forefathers reaches to the next generation through books. These days, we are producing robot like human beings, devoid of emotions and sensibilities. Television and social media are encouraging negative trends in the society. Illiteracy and poverty are the other hindrances in the development of society. In such a situation, good books and literature can play better role. She stressed upon the students to inculcate higher values of life by reading good books. The guest speaker also answered the questions asked by the students. Dr. Khushvinder Kumar, Principal of the College welcomed the guest speaker and asked the students to maintain personal library at their homes. 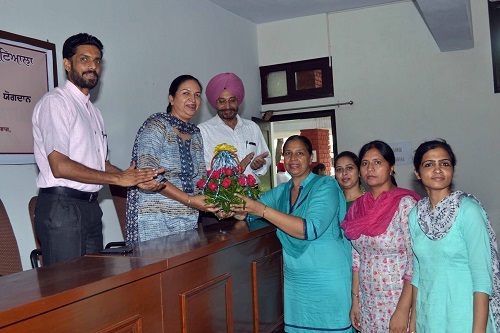 Dr. Dhanwant Kaur was felicitated by the college administration on this occasion. 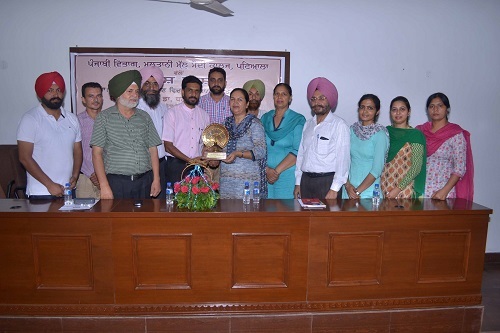 Prof. Balvir Singh, Head, Dept. of Punjabi conducted the stage and Dr. Harcharan Singh presented the vote of thanks.